There are a lot of struggles and stressors in the world today. Even during a time of orchestrated happiness - the holiday season - we manage to take the joy and add a challenge to it, starting with today, known around the world as Black Friday. The origins of the term Black Friday are debatable, but as a small business owner, I've always believed it to be the day that businesses go from red to black on their accounting ledgers. I know that the weekend following Thanksgiving, as well as the week following Christmas, would always make the difference for my consumer electronics and major appliance store. But it is that kind of shopping expectation that makes our lives commercial rather than traditional and in fact, changes our traditions to mean something different than our grandparents and others who have come before us. The current culture is a shopping-frenzied culture. In an effort to stave off the frenzy, I suggest something different. Instead of buying your way into your loved ones hearts, this year, give your time to a worthy cause. #Shareoptimism with those around you by telling positive stories and elevating spirits instead of depleting wallets. When you gather around the Christmas tree, enjoy one another's company, wisdom and wit. The world needs more #optimists. #Optimists are individuals who share hope and a positive vision. They think only of the best, work only for the best and expect only the best and the crazy thing is, with such an attitude, they achieve only the best. 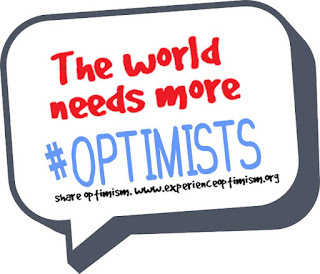 Yes, the world needs more #optimists. Why not start with you? According to an article in the Courier Journal, Clarksville, Indiana, each year the Optimist Club buys turkeys for the community. That's not unusual; many Optimist Clubs buy turkeys at this time of year to distribute through various outlets like food pantries and kitchens, senior centers and schools, among other locations. But the turkeys bought in Clarksville were headed to a less likey recipient: the Parks Department. Guess what they were bound for? 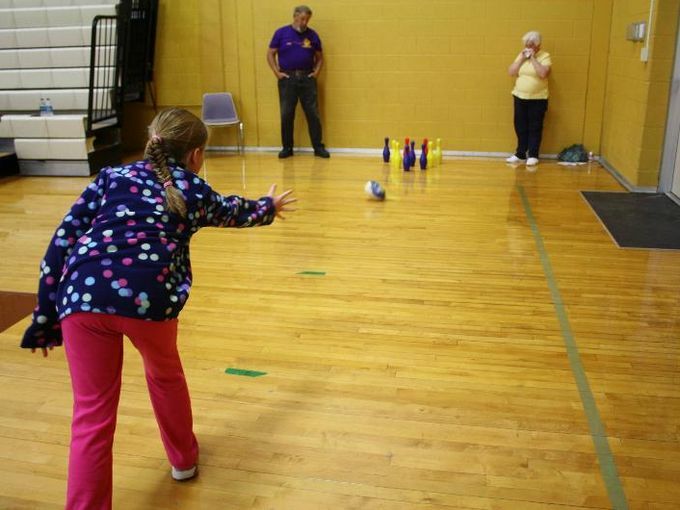 Turkey Bowling! That's right, each year the Optimist Club buys the turkeys that are a centerpiece for the Gobbler Games, a day-long party filled with child-friendly (5 to 12 years of age) activities. 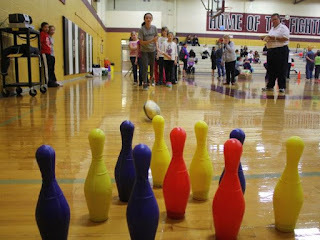 In addition to throwing the turkeys towards the pins in turkey bowling, the kiddos passed mini-marshmallows on plastic spoons and carried balloons clenched between their knees in an effort to rack up points enough to win a large turkey for their Thanksgiving dinner. 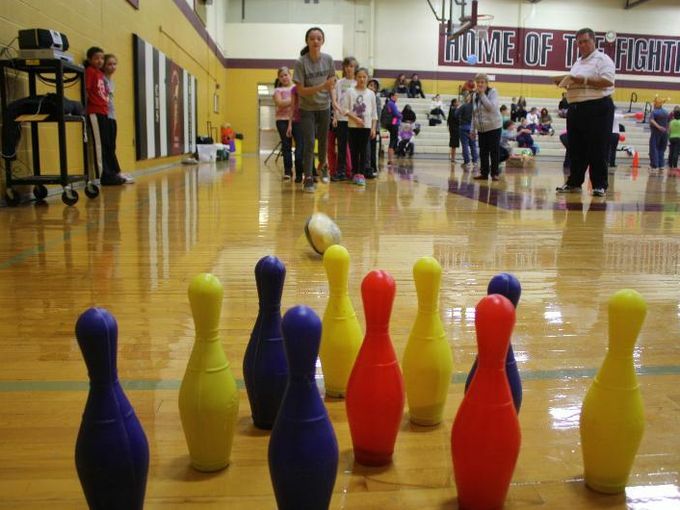 Now that sounds like a fun day of optimism with the collaboration of the Clarksville Parks Department, the Clarksville Middle School and the Clarksville Optimist Club. 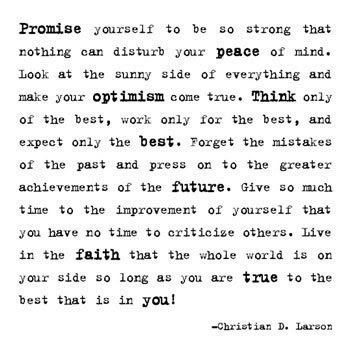 If you are like me, you find that different lines of the Optimist Creed inspire you at different times. For keeping an open mind, I like "To think only of the best, to work only for the best and to expect only the best." There is a tendancy to interpret words and actions differently, expecially across cultural lines. For excellent communication to happen, we have to keep an open mind and be ready to understand others meanings. For overcoming challenges, I like "To press on to the greater achievements of the future." There will always be roadblocks in our lives, and it is important that they not stop us from achieving our final destination or calling. We must persevere. For keeping a positive tone, I like "To talk health, happiness and prosperity to every person that you meet." Growing up, I would frequent a local restaurant with my parents. The clientele was older than them and much older than me. The talk would circle around those who were in the hospital or who had gotten bad news, be it a divorce or job displacement, among other things. I would tell myself that positive words were so much nicer to hear. I think, however, there is something overwhelmingly special about "To wear a cheerful countenance at all times and give every living creature you meet a smile." You see, when you act out the emotion, you begin to feel the emotion and smiles, being the contagious reflexes that they are, spread to others and all of those smiles make the world a more pleasant place to live. Optimist International is encouraging others to share their favorite line of the Optimist Creed through a program called #FacesofOptimism. If you want to #shareoptimism, post your professional head shot with the hashtag #FacesofOptimism on your social media channels. 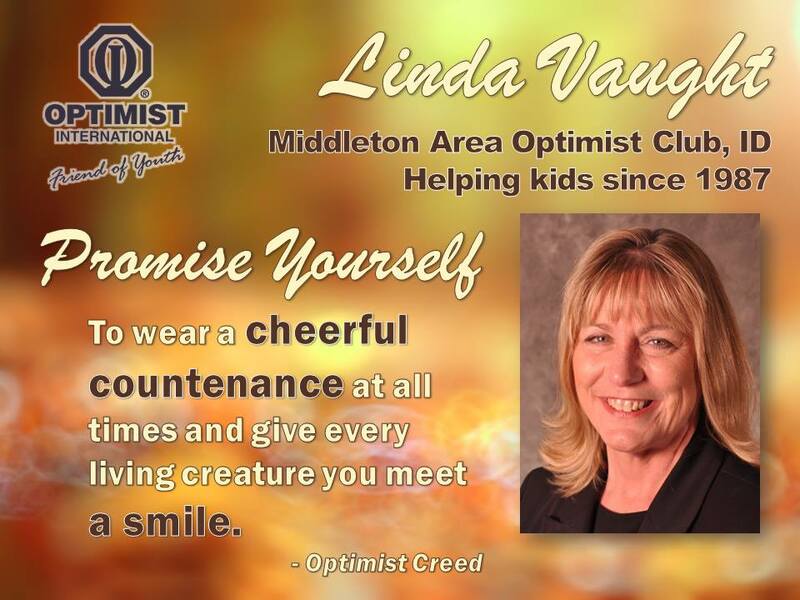 I look forward to learning your favorite line of the Optimist Creed! File this under too cute not to share. The new Optimist Club at Iowa State University held its first fundraiser on November 7, 2015. 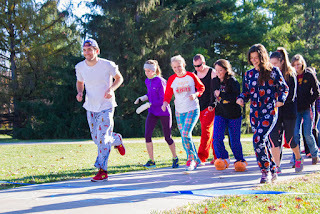 For a $10 entry fee, students were encouraged to participate in the Jammie Jog: a 1-mile run around campus and all money raised was earmarked for ChildServe of Ames. According to founding club member Christina Dittmer, the club hopes to "create opportunities for today's less privileged youth." The fundraiser-jog came about after brainstorming throughout the spring and summer. For the entry fee, the club awarded t-shirts to the top 100 runners and generated a great deal of enthusiasm for their cause. 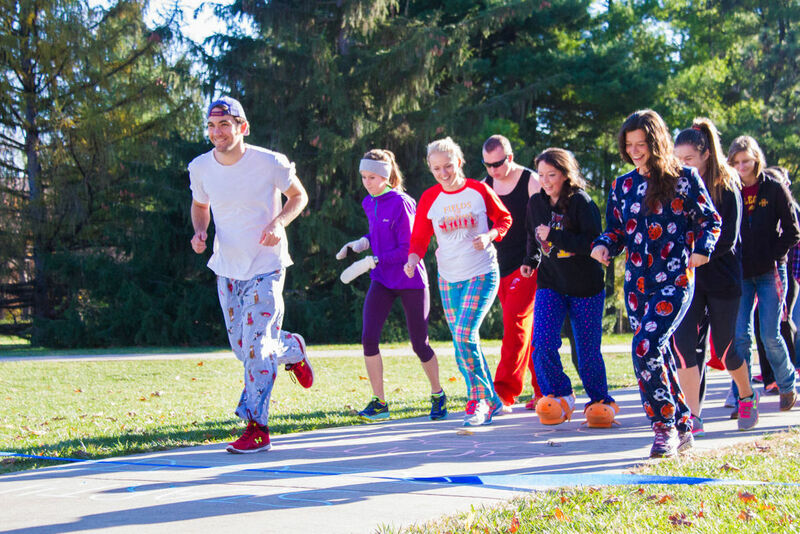 Wouldn't it be great to see Jammie Jogs on college campuses all around North America raising awareness for Optimist Clubs? Sometimes the little gestures are the most meaningful. Take, for example, the note of appreciation given to Central High School, Athens, TN by the local Optimist Club. 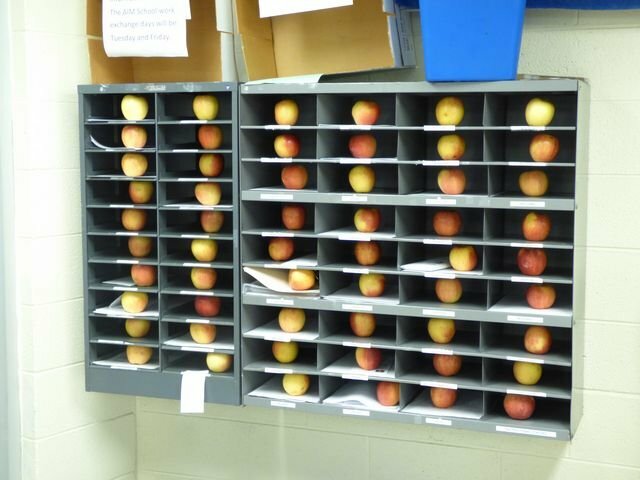 As a way of saying thanks, member Rob Preston placed an apple in each teacher's mailbox. A little trite? Perhaps, but cute and healthy, too, and a way of saying we're thinking about you today and want you to thank you for all that you do. Good job, Optimists! Take a look at its Facebook page to see some of the other thoughtful gestures of the Athens Optimist Club. Members of the California South District - Optimist International were happy to participate in the video demonstration that I presented recently. 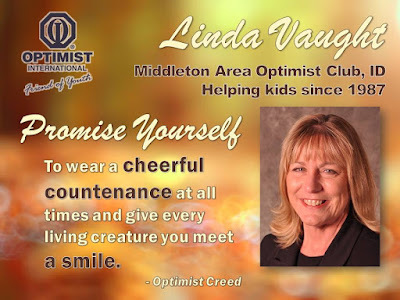 The topic was the Optimist Creed and perhaps the best way to describe the creed is to recite it and let others feel what it is all about themselves. Zone 4 Cal South District recites the Optimist Creed. It's part of the social media exercise at the first quarterly.